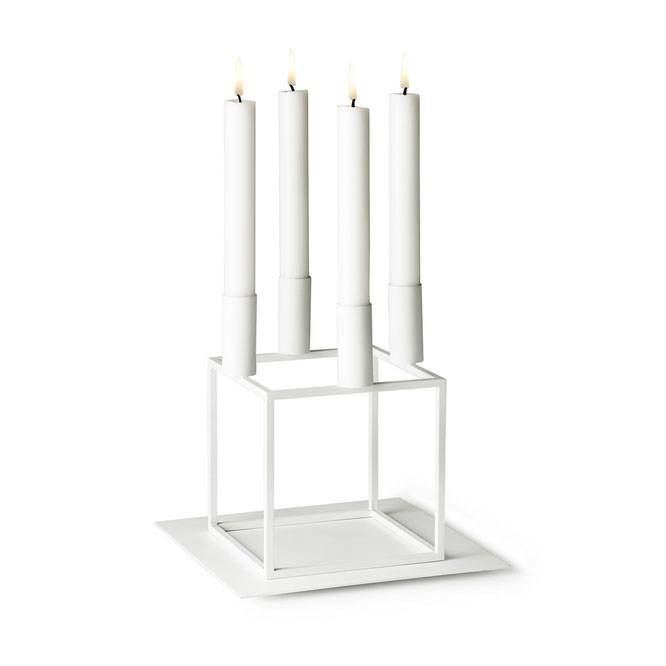 White metal mdium sized base for the original, iconic Kubus 4 candlestick by the Danish architect Mogens Lassen. 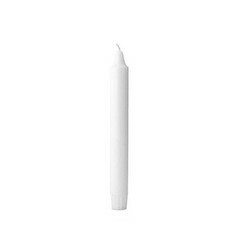 Protects the surface against dripping candle wax and can be used as a tray. 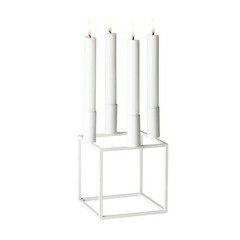 You can place this metal Base under the beautiful Kubus 4 candlestick and the small Kubus Bowl. 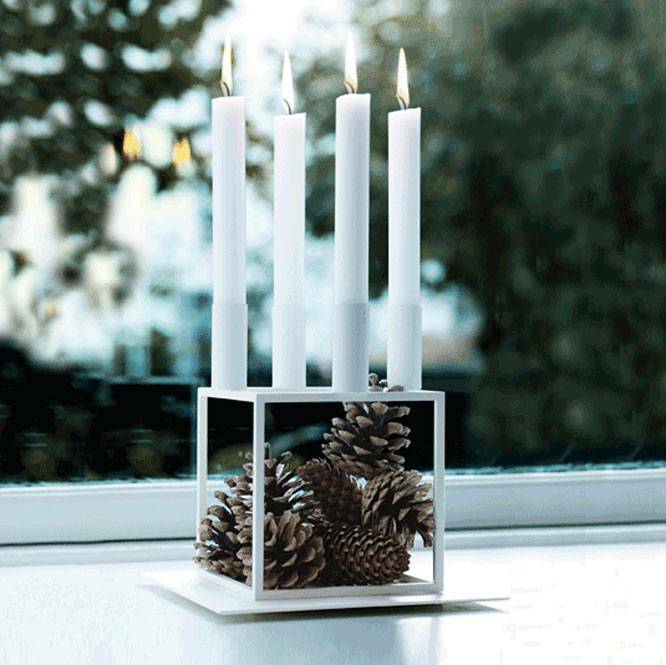 It emphasizes the shape and also protects your table or cabinet against candle wax. 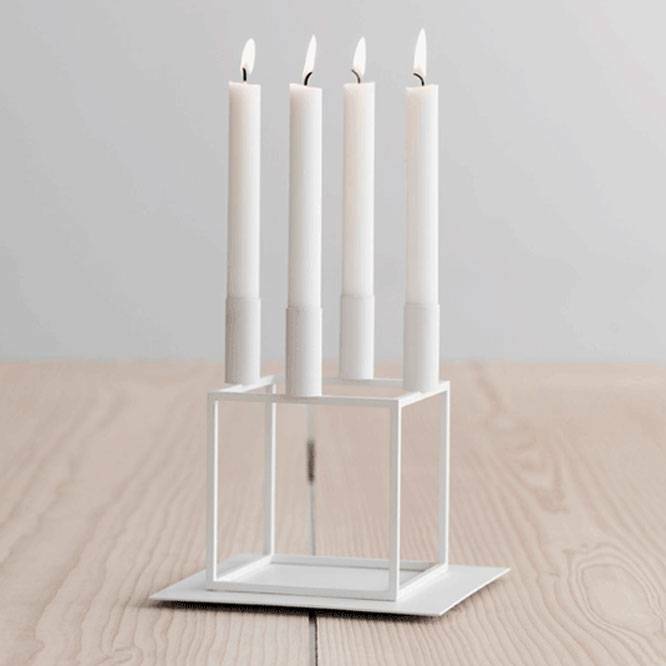 The Kubus candleholder is a must-have for Danish design fans. Of course, the Base is perfectly tailored for the Kubus 4. 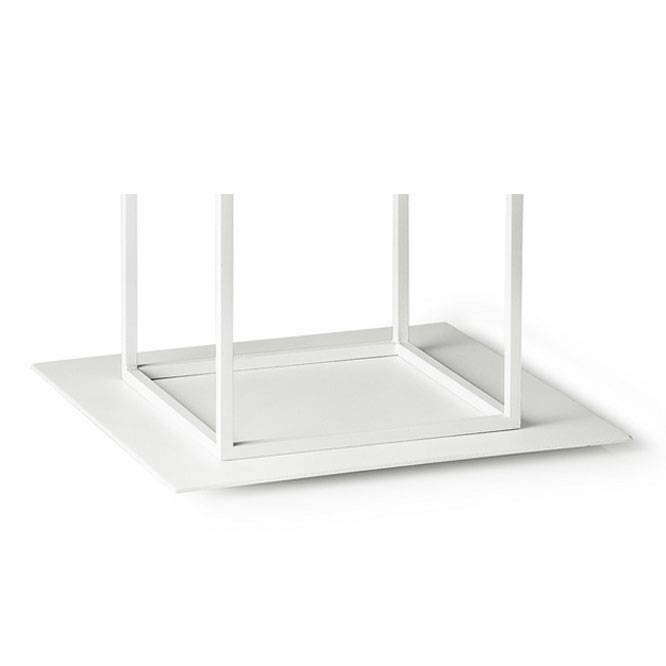 The Base has a thin frame at the bottom and therefore seems to float.